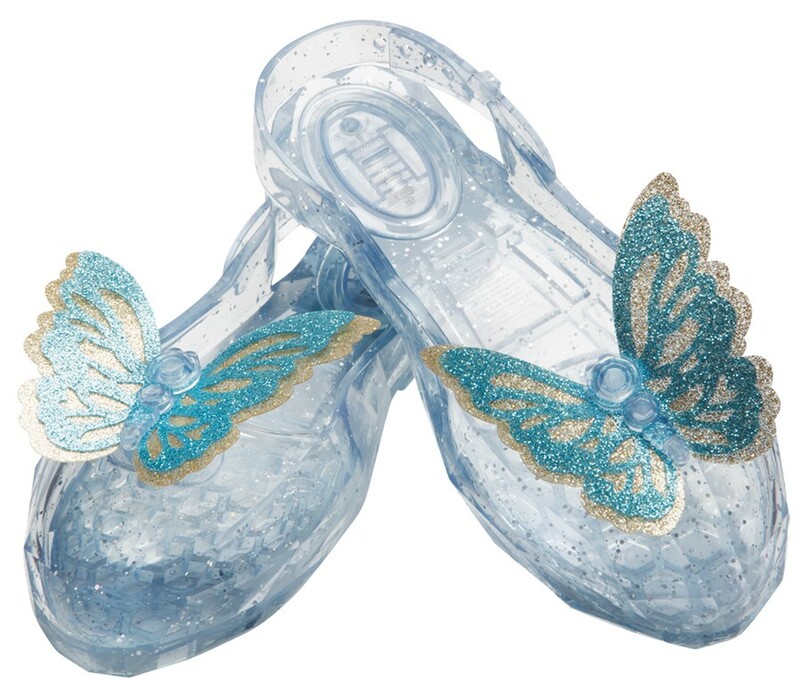 From the fabulous new Disney Cinderella movie! 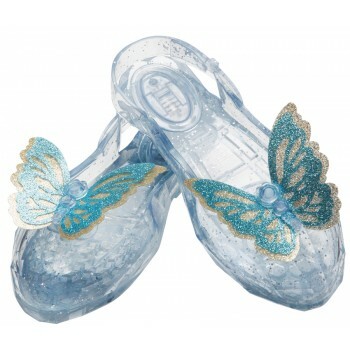 Child toy shoes give the look of glass slippers with a lovely butterfly accent at the toe and adjustable heel strap. Butterfly lights up! One size fits most children. Will fit foot up to 17.5cm in length. Our shoes are costume shoes, and not designed for everyday wear or continual heavy use.